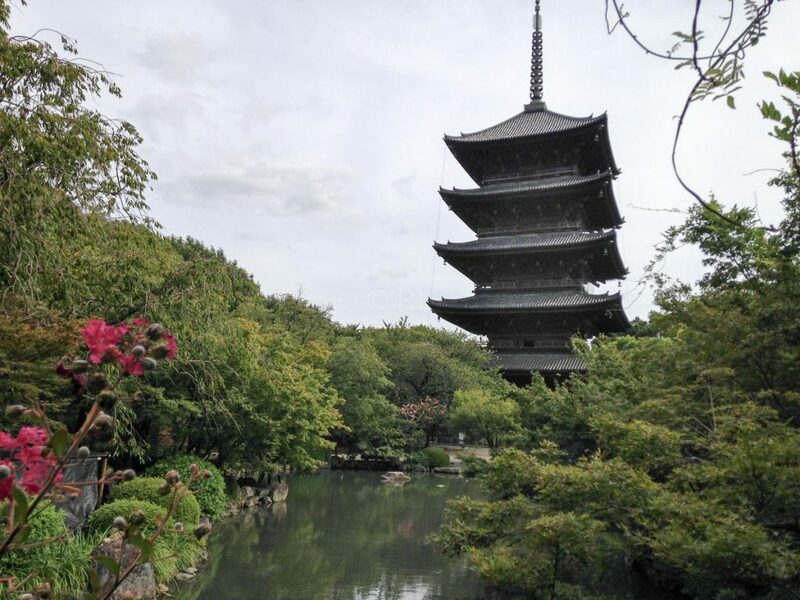 We had only just over a week to spend in Japan, so it was difficult to decide on the focus. In the end we decided to head for Kansai and base ourselves in Kyoto. The city itself is worthy of a week itself, but it’s close enough by good transport links, to branch out. It’s also not easy to pick Kansai’s Top 8, or 10, or even 20 things to do! 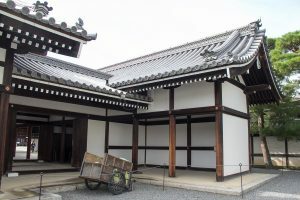 Our base of Kyoto is a cultural treasure as it was not damaged during World War 2 and many of the old Palaces, temples and gardens are still in place. A disclaimer: We’re cheating here. Our eight are not single best places, it was too difficult to pick so few. But we have selected 8 categories and included our favourites in each. Even that is really difficult. 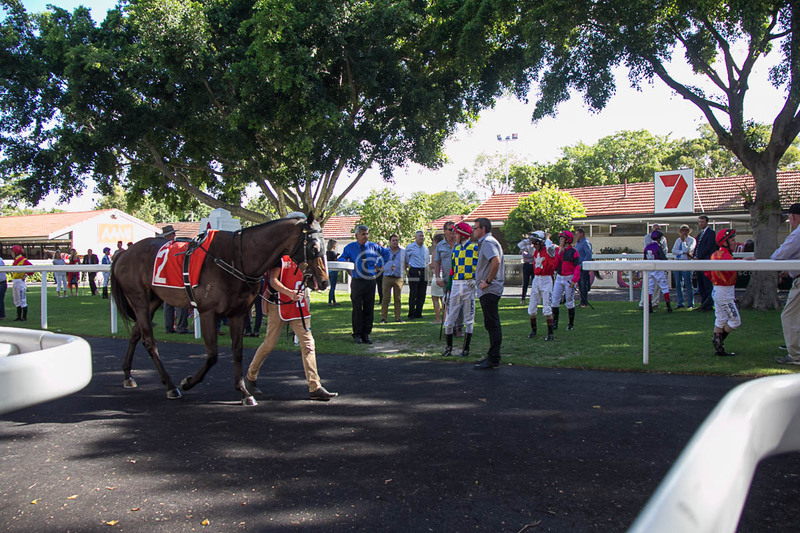 For more details on our picks, click on the links to take you to a more detailed story. One thing is important to note. There are some places you visit and after a day or two, you are ‘templed’ or ‘churched’ or ‘palaced’ out. This shouldn’t be the case here. 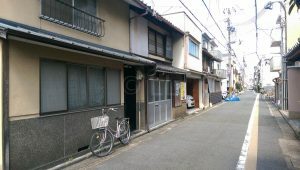 The variety of such places in Japan is so wide that no two are the same, or even very similar. There may be some common elements like the materials used, but there’s a wide range of variety in design and purpose. If you’re unsure of the difference between the two, Japan is a great place to understand the distinction. Traditionally, castles were fortifications, palaces have been built as royal residences. While in Europe, stone is extensively used for both, it’s much easier to see the difference in Japan. The palaces we visited were clearly residences, comfortable and gracious, with extensive gardens. Some of the Castles and Palaces are free to enter, like the Imperial Palace in Kyoto. You may not have access to the interior of the palaces. In some, like Osaka Castle, the grounds are free to wander, but you pay to enter the actual building. 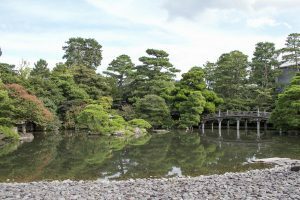 When you visit the Nijo-jo Castle in Kyoto, your ticket gives access to the grounds and one of the two palaces. Buddhism and Shinto are separate “religions”, but they are combined so people can practice both. 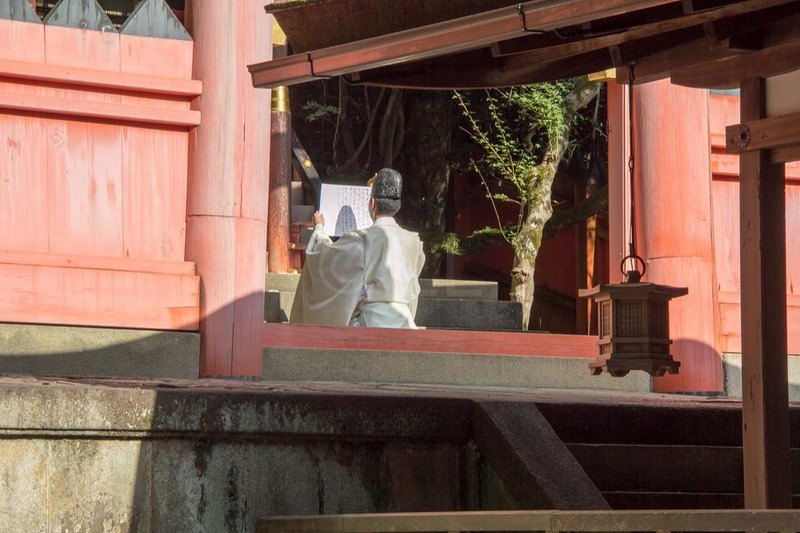 Shinto is not an organised religion, in the way people practice Christianity, Islam, etc. It is a collection of all traditional Japanese beliefs. Even the Buddhism draws on the different types. 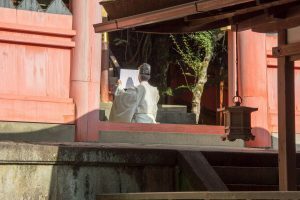 This makes visiting temples in Japan particularly interesting, as they have many different influences in design and focus. 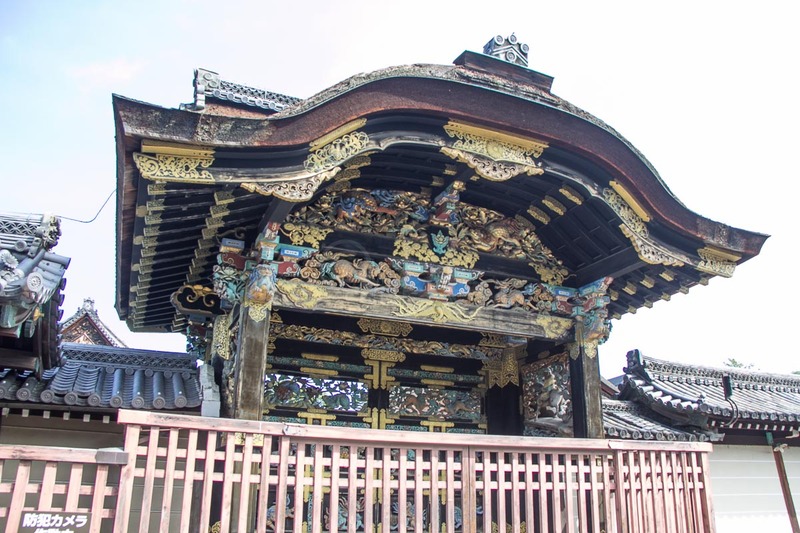 Kansai temples are among the oldest temples in Japan in a wide range of styles, so you are spoilt for choice! Two of the powerful Buddhist “Seven Great Temples” of Nara are easy to reach as they’re located in Nara Park, in the city. It’s more challenging to visit Horyu-ji, in nearby Ikaruga, also in Nara Prefecture. The temple dates to the 7th Century and is claimed to be the oldest wooden building in the world. 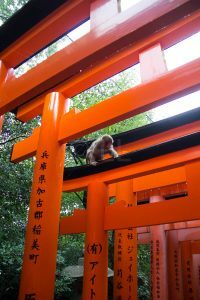 The easiest Shinto Temple to visit from Kyoto is in Inari, two stops away on a local train. The main shrine is at the top of a nearby hill. You walk through the torii on your way to the top of the hill. Shinto shrines are notable for their individuality. The Kasuga Taisha Honden Shinto Shrine in Nara Park features thousands of stone lanterns. Many temples are World Heritage listed. Japanese gardens run across a wide range of styles from ‘natural’ to ‘formal’. The gardens we visited covered the whole range and all were clearly well managed. It was clear that considerable planning went into each one as we could see the variety of plants used added depth and colour to the scene. Our visit in early autumn showed this clearly. Garden layout is carefully planned with water effectively used for reflection. Hard and soft elements work together to provide balance. Single type gardens (eg a bamboo garden) show a wide range and balance of various types. the gardens use the four seasons effectively to provide beauty and balance year-round. Gardens can be found in small corners, even on top of large buildings. Check out the Umeda Sky Building or the Sky garden at Kyoto Railway Station. We were very fortunate to be in Kyoto during the anniversary celebration of a shopping chain for their Kyoto Railway Station outlet. The station has some wonderful performance spaces, with a spacious forecourt and a huge open area at the western end of the building. We discovered the latter by following the sound, one of the benefits of being an independent traveller! Gion Corner Kyoto is the place to be if you hope to see a geisha on the way to work. Be there by 6pm, but you have to be lucky. Most people leave disappointed. However, you can catch a traditional dance performances every night March-November at Gion Corner Museum – The Forever Museum of Contemporary Art. We were very lucky to catch a drum performance, performed with energy and style. As our visit coincided with the start of the new school term, we saw many school students visiting temples and palaces. We even discovered a glass fronted Hula school in Horikawa Street in Kyoto with a Hawaiian instructor. His students, a group of enthusiastic Japanese ladies in grass skirts, were clearly having fun. 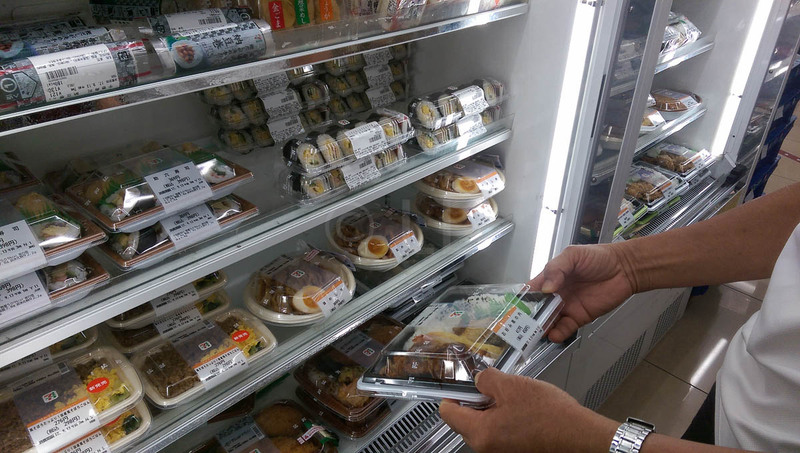 You may have already heard that Japanese shops will pack your purchase ‘nicely’. (Except in the supermarket. You are encouraged to bring your own bag, or purchase one and pack it yourself.) There are a number of places you can find traditional arts and crafts to take home as souvenirs. 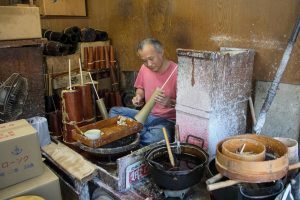 There’s a traditional candlemaker making beautifully hand-shaped and decorated candles on Shichijo Road. He and his wife man the studio/shop close to the Kyoto Railway Station. Look for origami materials in small bookshops. There’s a wide variety available. Browse in a traditional bookshop. We found an interesting one in Kyoto’s Teramachi Mall. The northern end of the Mall has older more traditional shops. The Southern end is more upmarket with many coffee houses and well known brands on display. 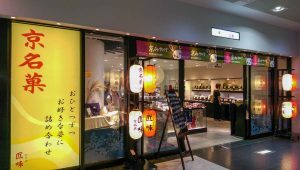 For kitch and souvenirs, look in the Mall which runs parallel, Shin-kyogoku Shopping Mall. Check out the beautiful Traditional gates at palaces and temples. Look especially for Kara-mon gates, easily identifiable by their curved gable and ornate styling. Our favourite was the Nishihongwanji Kara-mon Gate in Kyoto, which we walked past every day of our stay. The Kyoto area is fortunate to be ‘home’ to many traditional style homes as the areas escaped wide-spread firebombing in WW2. 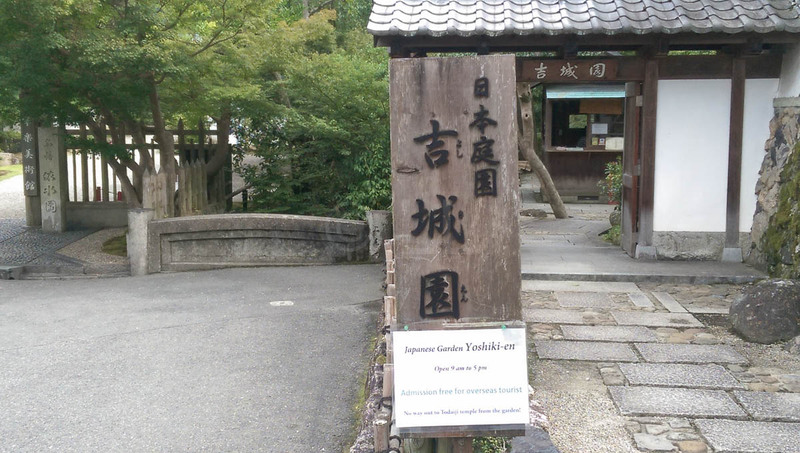 You will pass these as you walk around, not only Kyoto, but in other locations as well, including Otsu. One thing we noticed was that we saw very few dogs at all during our visit. 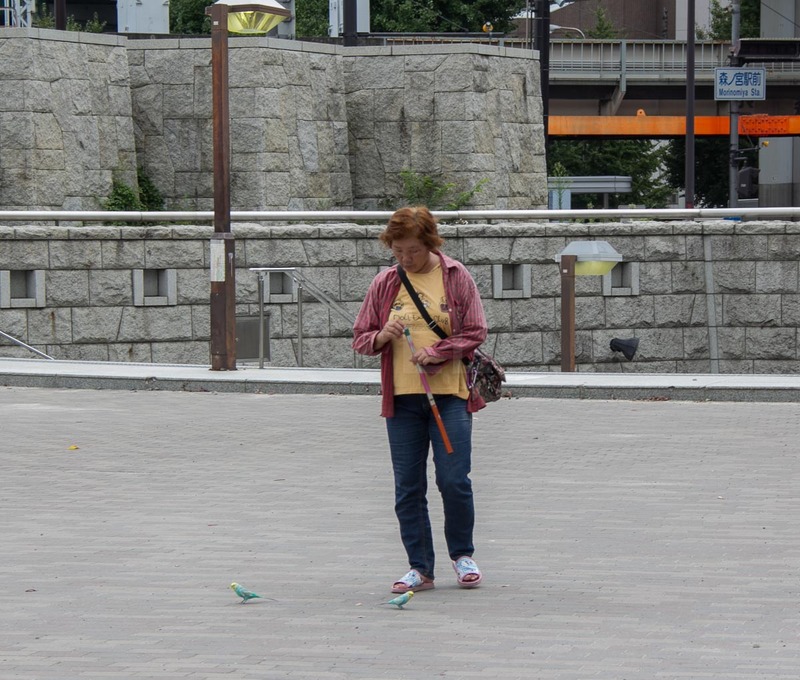 However, those we did see walking with their owners were well cared for and the owners were very particular about cleaning up their droppings. We saw plenty of cats. Not in the streets or food courts or markets, but mostly in parks. They appeared to be well fed and clean, but not friendly. 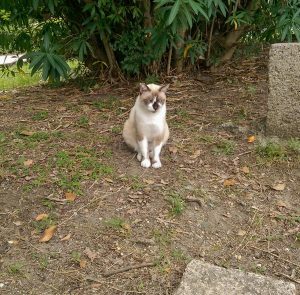 Look for the cats in the Osaka Castle park. Especially in the heavily treed area when approaching from Morinomiya Station. 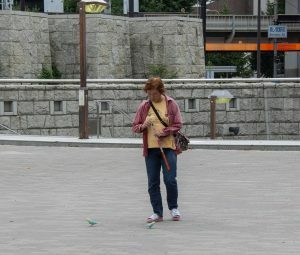 We also spied a lady taking her pet birds (budgies) for a stroll at the entrance to this park. The Nara Park Gardens are famous for their semi wild Deer. They’re allowed to roam freely and are comfortable with being around humans. You are allowed to feed the deer. Be sensible about what you offer them. We were wondering if the lack of stray dogs was helped by the cleanliness of the streets. Rubbish collection in the street we stayed was by pick-up of plastic bags left by the roadside, rather than bins. In addition, there are very few public trash cans but quite a few notices reminding people to ‘Take your trash home’. Be very wary of the Japanese macaque monkeys you come across. We saw a group in Inari and they were quite aggressive. Don’t try to stare the alpha male down. You will come off second best as macaques may bite if threatened. Eating out all the time can be hard on the pocket, so look for a hotel that includes breakfast. If you have an apartment, get ‘supplies’ from a local market and eat at home. There are a number of supermarkets and mini-market chains which will have much of what you need, including take-away dinners. Look for supermarkets / markets near bus and railway stations. You can pick up essentials for breakfast and a packed lunch. If your accommodation has any kitchen facilities, there are lots of different sushi, rice and noodle packs available. 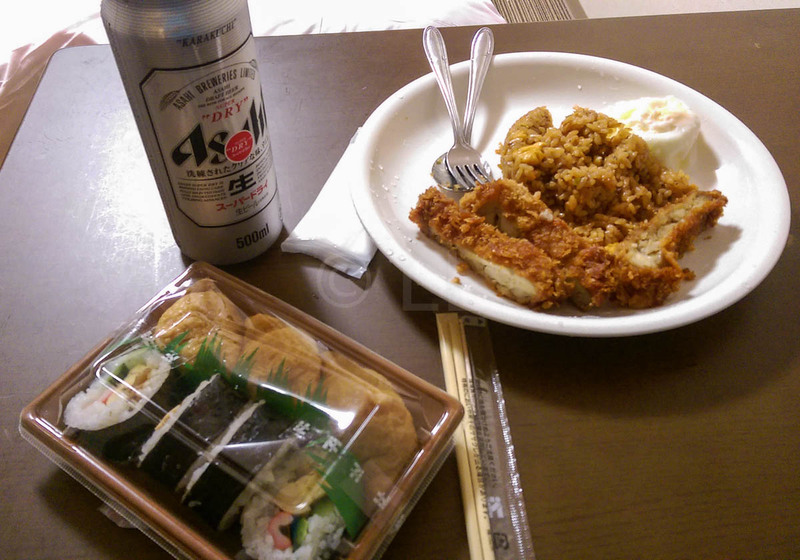 Onigiri (rice packets with flavourings) are popular and inexpensive. There’s usually a hot food counter selling fried chicken etc to go with it. Vegetable dishes were hard to find, although pickled veges were plentiful. Fruits are expensive (at least in September). This may not be the case in other seasons. 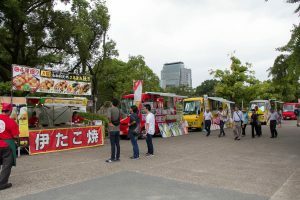 There were Food trucks selling a wide variety of food in the open area in front of Osaka Castle. Nishiki food market is a great place to go for traditional Japanese food. 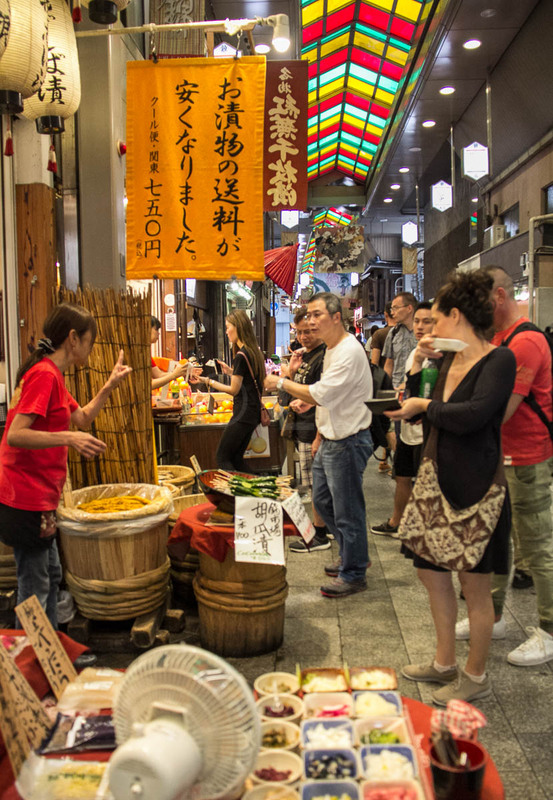 This 400 year old food market runs off Kyoto’s Teramachi Mall in the Gion area. The market is open early and closes at 6pm daily. 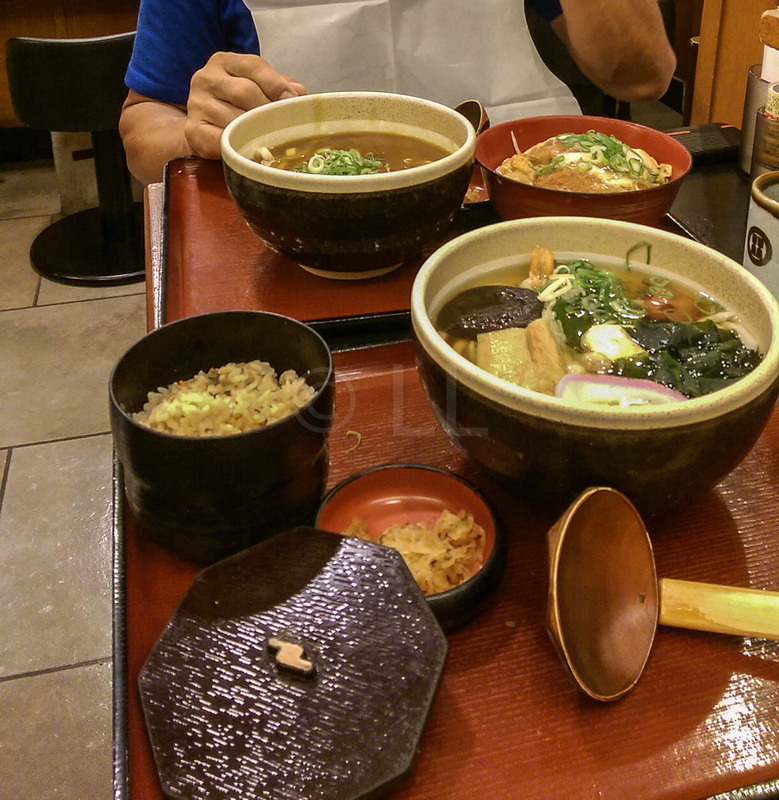 Try local flavours, including a bowl of ramen, in one of the many food malls, often near transport stations. Both Kyoto and Osaka Stations have extensive food halls below ground. If you want a special gift, look no further than a box of artisan sweets or biscuits. 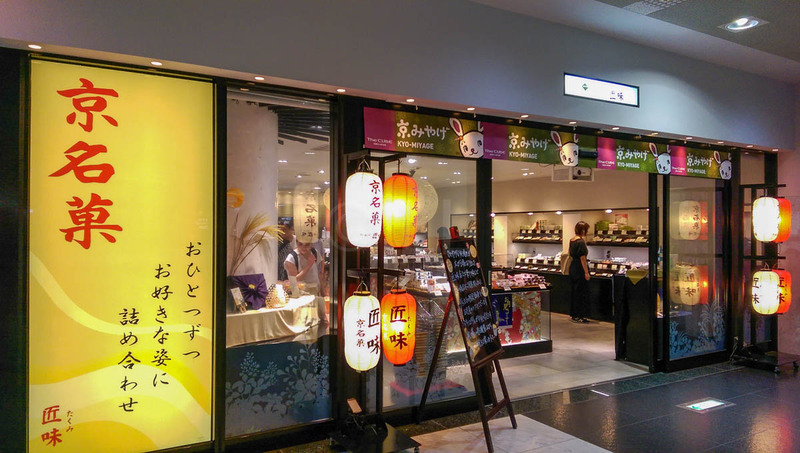 There are many such artisan bakers, including one in Cube shopping Mall, Kyoto Railway Station. Use public transport. Pick up a train or bus pass. There’s a wide range of passes available, so ask at the Railway Stations (and the Bus Station that is usually nearby). There is also a Ticket office at Kansai Airport. We purchased an ICOCA Card at the airport, which gave us a discounted rate on the Haruka Limited Express service to Kyoto. 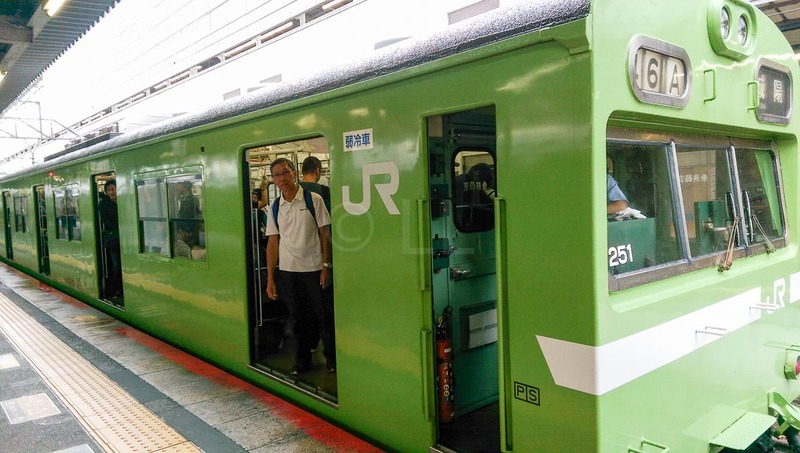 ICOCA is a stored value card.Use it on Japan Railway services, for renting lockers and at vending machines. Any remaining value can be reclaimed when you leave, minus a small handling fee. 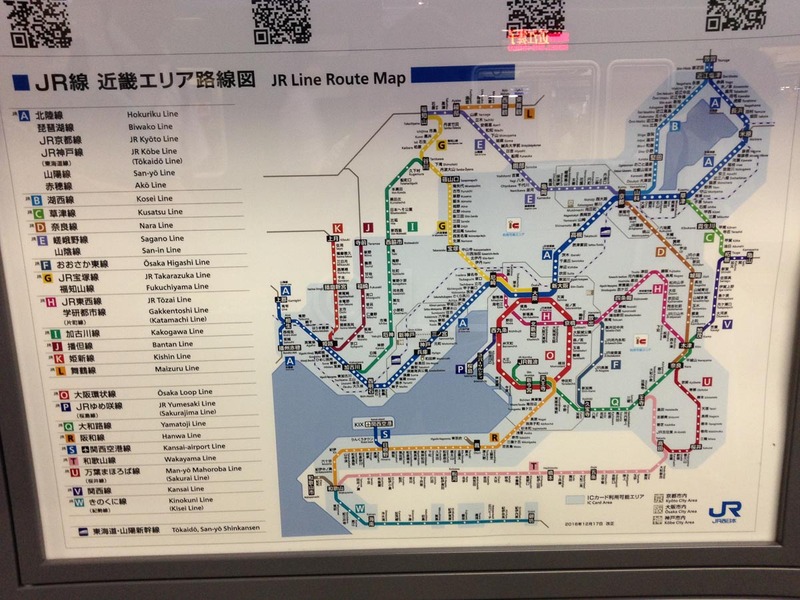 Getting about Kyoto is not difficult as the city has a grid layout. This grid is loosely based on the ancient city of Xi’an in China which is similarly easy to get around. The city is well served by train/subway and buses. 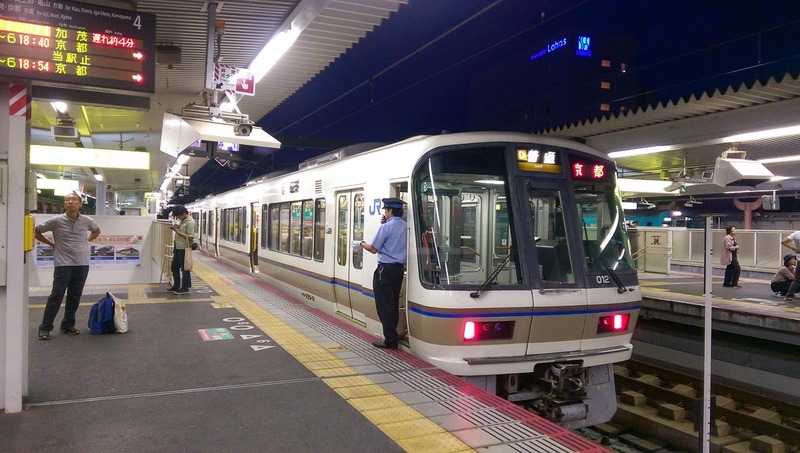 Osaka has a City Loop Train line which runs in both directions. You can connect to a number of other lines at designated stations. Check your ticket before you board the train. Passes can only be used on specified lines or train types. The best person to ask is the train guard at the rear of the train. Making a wrong choice can be an expensive mistake as you will have to pay the fare difference. Footpaths are clean and generally well maintained. When walking, look at the manhole covers. We’ve seen beautiful ones in China and around Europe, but the ones in Japan are quite special. 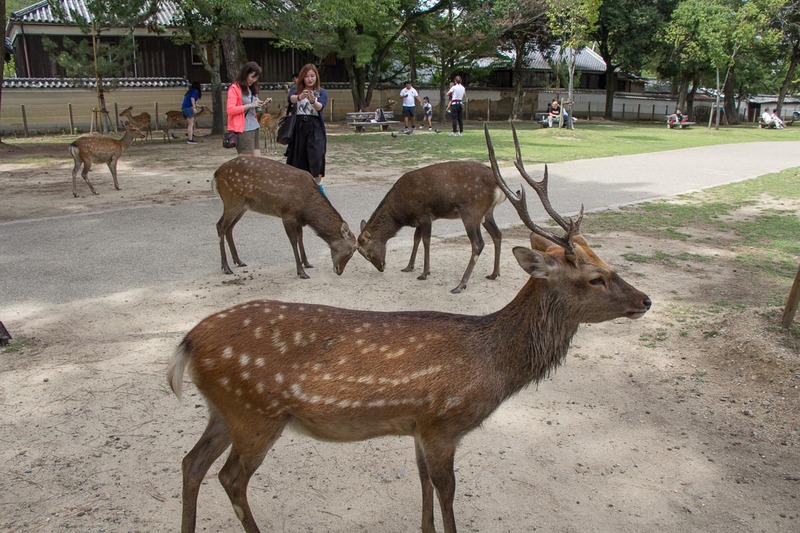 Looking at the main picture will often identify the city – Nara manhole covers have a deer. 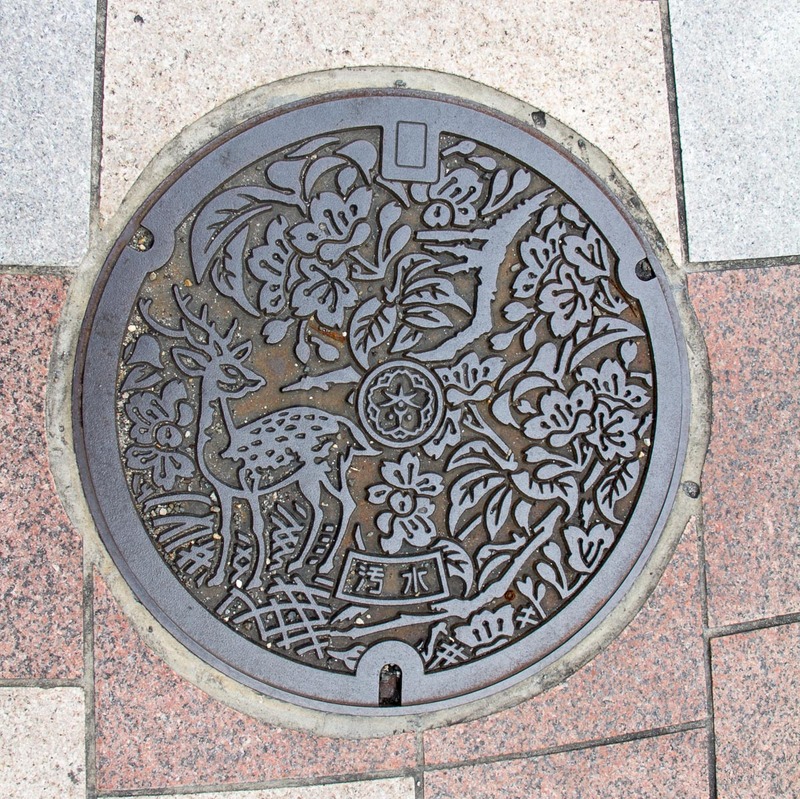 Deer design on Nara manhole cover.